Gutters have an average lifespan of 15 to 20 years. If you haven’t replaced your gutters in that period of time, hire an expert to know if your gutters are still serving their purpose. They may appear to be working just fine but they’re actually not. Noticeable cracks and rusting are telltale signs for the need to replace the gutters. These lead to leaks which can turn into bigger damage and expensive repairs if left unattended. Do your gutters look like they are already sagging? This means that your gutters don’t drain water efficiently anymore. The water stays in the gutters instead of flowing into the drainage. The gutters might be clogged and leak water into your home. Check your downspouts for any standing water nearby. If this water comes near your exterior, a serious problem might arise once it reaches your home’s foundation. This promotes the growth of rot, molds, and other structural problems. Wind storms and rain can drive leaves, twigs, and other debris into your gutters. Although this can be prevented with gutter guards, you still need to check the gutter itself and see if there is any problem besides debris. This is pretty self-explanatory, but we’ll say it anyway. 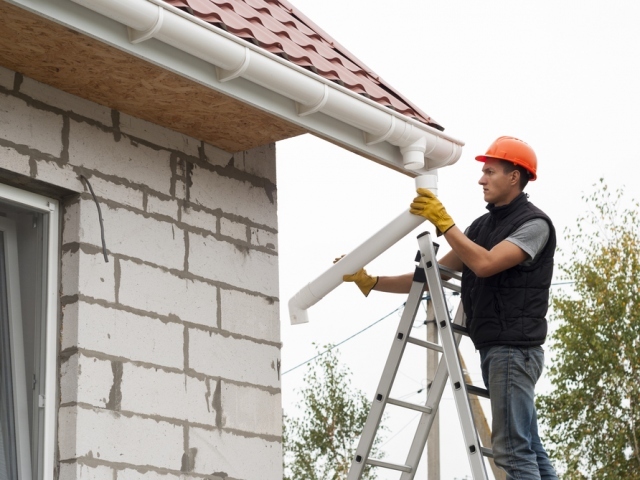 If part of your gutter is already hanging off your home, it is highly likely that it’s broken and requires repair. Make sure that your new gutters are properly installed to prevent them from falling off during bad weather. Water may travel down the rear edge and into the sidings once the gutter pulls away from your roof. The exterior paint will start to peel off if this has been happening for quite some time. Gutter replacement is needed ASAP. The nails and screws are used to secure the gutter to the fascia. They become loose as a sign of gutter wear. The best time to check your gutters is before the rainy season. If you see at least 1 or 2 of the warning signs listed above, don’t hesitate to call a professional right away. This will help you keep your home safe and dry for the years to come.